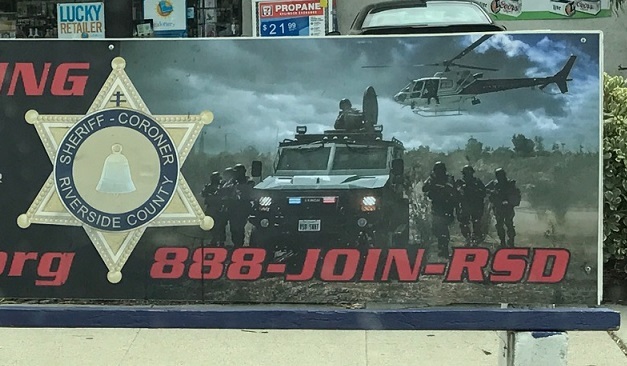 Based on this recruitment ad on a bus bench in Pomona, the Riverside Sheriff’s Department seems to be a previously unknown fourth branch of the armed forces. 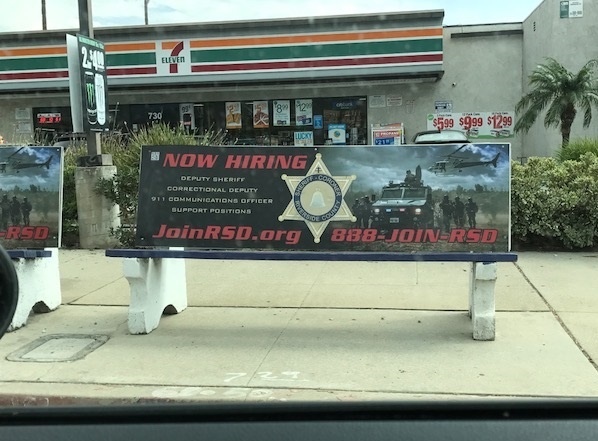 Is their mission to help the public or subdue it? This entry was posted in Around the Inland Valley by David Allen. Bookmark the permalink. The militarization of the police is a serious problem. Maybe friendly cops isn’t a thing anymore , Guns , tasers, yay !